Following the theatrical release of Batman V Superman: Dawn of Justice this past month, and after the premiere of Suicide Squad this summer and the first ever stand-alone Wonder Woman film due out in June 2017, the DC Extended Universe will continue with Justice League Part One from director Zack Snyder. Seeing as how the production already begun and has most of its key actors in place - most notably including Henry Cavill as the Son of Krypton, Ben Affleck as the World's Greatest Detective, and Gal Gadot as the Amazonian Princess - Snyder's followup to Man of Steel and Batman V Superman is sure to be of the utmost importance to many fans of the original DC characters. Of note to fans of the original superhero property in the making, Oscar-winning actor J.K. Simmons (Whiplash) has already come forward to discuss his own role in Justice League - that of Batman's more lawful ally, Gotham City Commissioner James Gordon - leaving many viewers of the still young DCEU eager to learn of any subsequent casting decisions. On that note, the latest update on the Warner Bros. Pictures-backed project reveals that one of Simmons' former costars (from the Sam Raimi Spider-Man trilogy no less) is now set to join the DCEU too. According to THR, Willem Dafoe (John Wick) has just joined the Warner Bros. production as a "good guy" in the original script by Batman V Superman screenwriter Chris Terrio - though the exact identity of Dafoe's character in the story is being kept under lock and key for the time being. 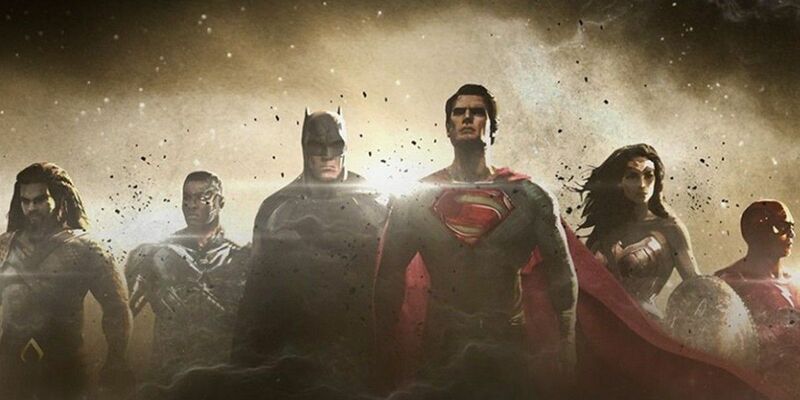 Seeing as how it is already known that Aquaman (Jason Momoa), The Flash (Ezra Miller), and Cyborg (Ray Fisher) will definitely be playing leading roles in the first Justice League movie, alongside DC's Trinity (read: Superman, Batman, and Wonder Woman), it's now up to DCEU fans to begin speculating about which DC Comics character Dafoe will be portraying in the film. Given Dafoe's work with director Sam Raimi on the original Spider-Man trilogy of the 2000s, having his talent on the set of Justice League should prove an easy match for the accomplished A-list actor for all parties involved. Despite any outstanding gripes that some critics might have had with Snyder's Dawn of Justice, the actors involved were rarely an issue, and casting Dafoe is just another sign of Warner Bros. sound judgement in filling out their superhero franchise with performers capable of breathing life into the DCEU. If everything continues to come together in terms of casting new roles in the production of Justice League, then Snyder might just find himself in a position whereby his forthcoming superhero epic will be a greater success than everything that has come before (both commercially and critically at that). Here's to more great casting calls form Warner Bros. in the near future, and many happy returns from the likes of recent DCEU inductees Simmons and Dafoe in their upcoming roles. NEXT: WB Being More Hands-On With Justice League?